In 750 AD, the Abbasid caliphs murdered all of the surviving Umayyad men but one. They took over ruling the Islamic Empire. The Abbasids were less interested in the Mediterranean coast than the Umayyads had been. So the Abbasids concentrated more on the plains of Iraq and Iran, and less on the coast: Israel, Syria, and Lebanon, and Egypt. But towards the east, the Abbasids quickly came up against the Tang Dynasty Chinese. The Chinese were also expanding their empire at this time. The Arabs won a great battle against the Chinese in 751, near Samarkand in Central Asia, but the border between the Islamic world and China stayed about the same from then on. In 762 AD the Abbasids moved their capital east from Damascus in Syria. Their new capital was the brand-new city of Baghdad (the h is silent) in Iraq. (Baghdad is still the capital of Iraq today). This shift is another example of the West Asian conflict between an orientation toward the land and an orientation toward the sea. 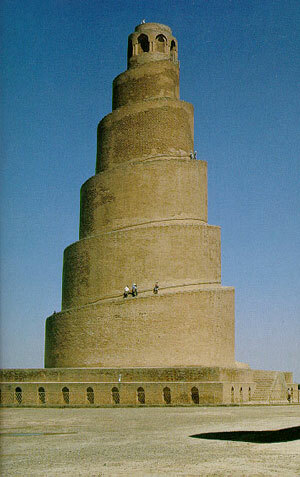 Baghdad was soon a big international city, where people spoke Aramaic, Arabic, and Persian. Many different groups of people lived there: Arabs, Persians, Jews, and Greeks. Baghdad’s people worshipped many different gods. There were Christians, Jews, Buddhists, and Zoroastrians, in addition to the Islamic majority. By the 800s Baghdad probably had nearly half a million people (that is half as big as Rome during the Roman Empire), and was the largest city in the world outside of China. But remember that one surviving Umayyad man? He fled from Damascus around the Mediterranean to Spain. When he got to Spain, he founded the Umayyad Caliphate of Spain. He and his successors ruled Spain for many years. The Abbasids ruled all of West Asia and North Africa from 750 AD . About 830, they conquered Sicily and southern Italy, too. They held on to most of the Mediterranean Sea until about 1000, when they began to weaken. 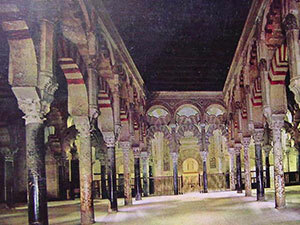 First North Africa broke away and formed independent kingdoms under the Fatimids. Then gradually the governors of each province – like the Samanids – began to act more and more independently, and the Turkish generals of the armies became less and less under the control of the Caliphs. The Seljuk generals began to take over, and by 1055 the Abbasid caliphs didn’t really have any power anymore. The successes of the First Crusade in 1096 in taking over Jerusalem and much of Israel and Lebanon happened mainly because the Abbasids were getting less and less powerful. Then about 1100 AD, the Normans conquered Italy and Sicily. For a long time, there was still an Abbasid caliph, but nobody paid any attention to what he wanted. Other people – the Mamluks, the Seljuks, the Ayyubids – had the real power. In 1258 AD the Abbasid dynasty ended when an invading Mongol army rolled the last Abbasid caliph in a carpet and kicked him to death – to avoid spilling his sacred blood. Cite this page: Carr, K.E. The Abbasids – Medieval Islamic history. Quatr.us Study Guides, July 23, 2017. Web. April 22, 2019.